Is an equipment finance calculator needed? Equipment Finance Calculators provide a lot of convenience for their users. These unique calculators help budget for equipment purchases and determine monthly payments for leases by showing different terms and rates. Equipment finance calculators vary on the type of financing you’ll be applying for. To ensure that you are using the right calculator correctly, you need to understand how each works. In this article, we will discuss the different equipment finance calculators you need to use before making a financial business decision. If you don’t know much about an equipment finance calculator, then you’ve come to the right place. Equipment Leasing Calculators aren’t that complex. But it is still crucial to understand how it’s used and what it is for. In the next section, we will discuss the different main equipment finance calculators and how they are used. While leasing equipment is generally cheaper than purchasing, it can be a financial burden if you do not have enough budget allocated for your monthly payments. This is where equipment finance calculators come in. Equipment finance calculators help you get an estimate of monthly repayments, remaining balance for purchasing the equipment after the lease, and even the value of the equipment. This allows you to make an informed business decision whether your chosen loan is right for you. It's very common for equipment financing and leasing professionals to flat out lie to you about your interest rate. Many professionals in our industry won't tell you the truth about what your equipment leasing interest rate is. They may have some way of calculating a simple interest rate that's not accurate or beat around the bush when you ask them what the rate is. It's the their job to keep your eye on the ROI and not on the effective interest rate. An equipment lease interest rate calculator helps you figure out the effective interest rate you will be paying. This often ranges from 6-40%. Yes that's right, many start up companies or companies with less than perfect credit pay a higher rate. The number of advanced payments or money down. There’s an equipment finance calculator that can also help you figure out your equipment lease payments depending on your payment period. Payment period (monthly, quarterly, semi-annual, annual). Click here to figure out how much your equipment lease payments will be. How Much Equipment Can I Afford To Finance? An equipment finance rate calculator will help you figure out how much equipment you can afford to lease. This uses your budget for monthly payments as basis for this. If you have different financing options in mind, it gives you an idea which one would be best suited for your budget. Click here to access An Equipment Leasing Calculator that will help you figure out how much equipment you can afford to finance. Figure out how much to spend based on what you can afford monthly. Now that you know the different equipment finance calculators, it’s time to learn how to use one. To do this, you’ll need necessary details about your equipment financing. Make sure that you have the numbers you’ll need to input and specify in the calculator before computing. The amount to finance is the amount you’re willing to pay for your desired equipment. There may be instances where additional costs charge up to the total value client must finance. The desired terms of loan refer to the length of an equipment to lease in terms of months. These are indirectly proportional to the down payment required, but directly proportional to the interest rate. A residual value is the value of the equipment at the end of the lease contract. In this case, you must decide the final payment of the equipment at the end of the contract. An annual interest rate refers to the percentage of additional cost put in leasing the equipment. Usually, an interest rate is in terms of per percentage per annum. Since equipment can take a huge chunk of a business’ capital, financing is a good option to use. To prepare you for the potential expenses that will incur monthly, using an equipment finance calculator is essential. But what are the other benefits that come with using one? 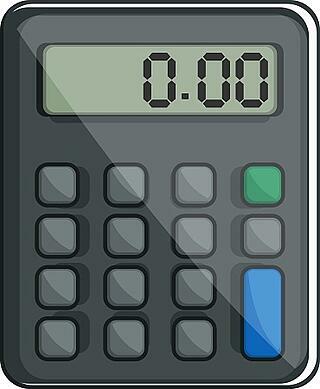 Equipment finance calculators are completely free online. There are sites that can be easily accessed that offer a calculation of equipment finance without any charge. Using equipment leasing calculators online stops you from hiring a financial analyst to calculate the results of your equipment financing. This allows you to minimize your expenses brought by hiring. Equipment finance calculators also help calculate complex formulas in which the results are easy to understand. The calculators won’t require any financial statements to be passed. Entering certain data needed in calculating is enough. Online equipment finance calculators provide results immediately. This helps you make your decisions faster, without having to wait around. 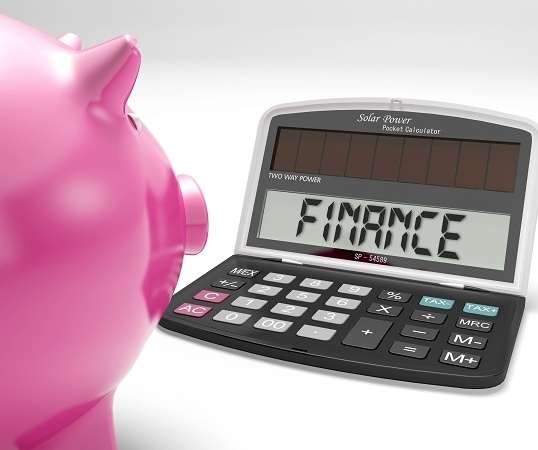 Online equipment finance calculators vary depending on the type of financing you want to get. Depending on which data you have already gathered, you can use any of the calculators discussed above to get your estimated expenses before making any decision. Using an equipment finance calculator is needed. The calculator provides an estimate of what you can expect to pay for each lease option. Because of this, it can give you an idea if the financing you chose is right for your budget. In this article, we discussed the different equipment finance calculators you can use to help you make a sound financial decision. These calculators are: an equipment lease payment calculator; a calculator that helps calculate equipment lease payments depending on payment period and an equipment finance interest rate calculator that helps you determine what your effective interest rate is. Also an equipment financing calculator that will help you determine how much equipment you can afford to lease by knowing your monthly budget. Using any of these calculators is easy. All you need to do is input and specify the right number needed by the calculator. Instead of hiring financial analysts, which can be costly and time-consuming, these calculators can be of aid immediately. Equipment finance calculators can be accessed for no charge online and can provide results in an instant. Click here to access all of these equipment financing calculator tools. If you have questions about an equipment finance calculator, you can call Trust Capital at (866) 458-4777.